The Next Fifteen firm is drawing down its operations in Upstate New York after losing Cisco's account in the U.S. and as it merges with Bite. 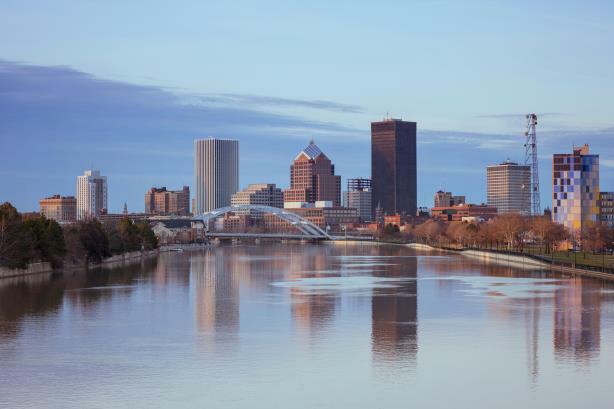 ROCHESTER, NY: Text100 is planning to close its Rochester, New York, office following the loss of client Cisco and as it merges with Bite. The Next Fifteen agency is "winding down" its operations in Rochester over a period of time, according to a source familiar with the matter. The firm will continue to have staffers in the region, but is "not likely" to have a physical office there. The office closure could take "many months" because of transitioning client work, the source said. No one has left the Rochester office. However, there have been about 15 recent layoffs at the agency, a person close to the matter said. Text100 is not planning to close other offices, the source confirmed. This week, Cisco began consolidating its corporate PR, technology PR, and corporate social media work with FleishmanHillard. Text100 still has regional partnerships with the company. After the loss of Cisco from its client portfolio, Text began planning to restructure its North American business so that it can "set itself up for future success," which includes the departure of a number of members of its U.S. team, a Text100 representative told PRWeek via email last week. "Our new structure is designed to help ensure that we are a nimble organization, ready to take on the opportunities as we launch a new agency in the weeks ahead," the source said, adding that Text is "incredibly proud of our long relationship with Cisco, which has been highlighted by award-winning work and exceptional relationships." Since last September, Next Fifteen has been planning to merge agencies Text100 and Bite with Bite CEO Helena Maus in charge of the combined company. The holding company is planning to launch the new firm in the next quarter. Former Text100 CEO Aedhmar Hynes left the agency at the end of September, following 18 years at its helm and 28 years as an employee. Last May, Text100 lost major client IBM after 17 years. A few months earlier, it also lost client Lenovo to Zeno Group. In 2017, Text100's global revenue was $68.2 million, a 3% increase over 2016. 2017 revenue numbers for Bite were not immediately available.